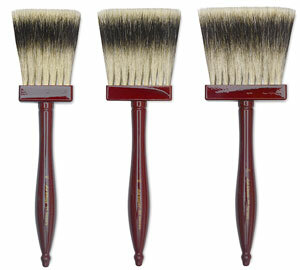 Unlike other hair, pure badger hair is thickest at the tips, giving these brushes a bushy appearance. 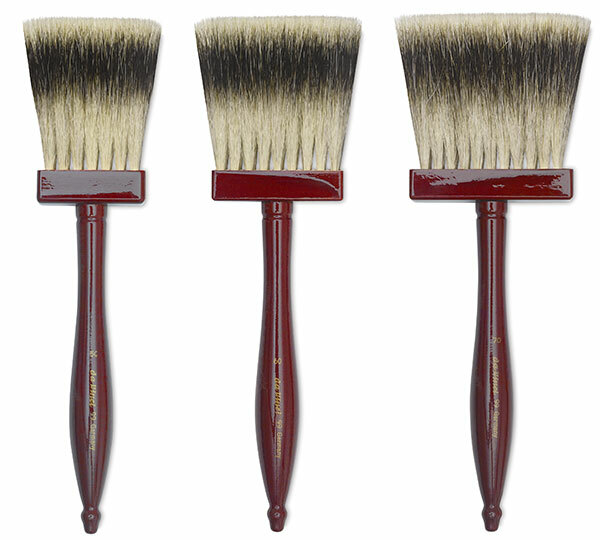 They're excellent for glazing techniques, and popular with decorative and faux finish painters because of their blending ability. The Softener Bright is a huge brush favored by painters and indoor muralists working on a large scale, such as scenery painters working for the opera and theater. Series 96 — Five files or rows of hair are set in plastic. Series 99 — Three files or rows of hair are set in wood.